Intimate venue under The Arches of Charing Cross which hosts a diverse programme of theatre in London. The Charing Cross Theatre is easily accessible via public transport. The nearest tube stations to The Charing Cross Theatre are Charing Cross Station (Bakerloo/Northern Lines) and Embankment (Bakerloo/Circle/District/Northern Lines). If arriving to the theatre by train, the nearest train station to the theatre is Charing Cross, which is above the theatre. The theatre is also well serviced by bus lines 6, 9, 11, 15, 23, 24, 87, 91, 139, and 176. If driving to the theatre, parking is available at the NCP carpark on St. Martin's Lane. The Charing Cross Theatre is one of the smallest West End theatres with only 275 seats. The theatre was rebuilt in 1989 as part of the Charing Cross re-development to meet the demands of national and international producers wanting a theatre that offered a degree of intimacy and is the equivalent of an Off-Broadway space. Founded in 1936, Charing Cross Theatre (formerly the New Players Theatre) occupied several premises in the West End before locating to its present site under The Arches below Charing Cross Station. The current site was a famous Victorian music hall which went on to produce many musicals, pantomimes and melodramas. Ideally situated under the arches of Charing Cross Station, London's Charing Cross Theatre (formerly the New Players Theatre) is brimming with history and is proud to be one of London’s last remaining music hall venues. Over 100 years of entertainment lives within these walls creating a beautifully theatrical atmosphere bursting with memories of London’s finest entertainers - and, back in the days, if you were willing to buy a pint and a cigar then your entrance was free! 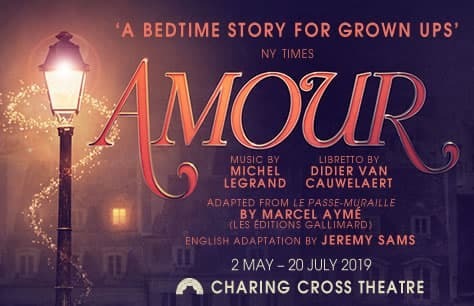 With the smoking ban now in force The Charing Cross Theatre must charge a little more than that, but it remains a competitively priced, central London venue, giving audiences the chance to see, with ease, a range of entertainment. Charing Cross Theatre strives to continue the historical spirit of the venue by entertaining audiences with many kinds of events from late night cabarets, plays, comedy and musicals to showcases, fashion shows and music gigs. The Charing Cross Theatre is beautiful and still has the original Victorian bar at the back of the auditorium with the original Victorian glass panelling, creating an atmosphere that is truly one of a kind. The theatre is perfectly complimented with a newly renovated bar and restaurant which is open until 2.30am. The Charing Cross Theatre is a venue which hardly sleeps. The Cross' small in-house team are filled with passion and love for the venue, making this a home for all that visit and a place they will want to return to. 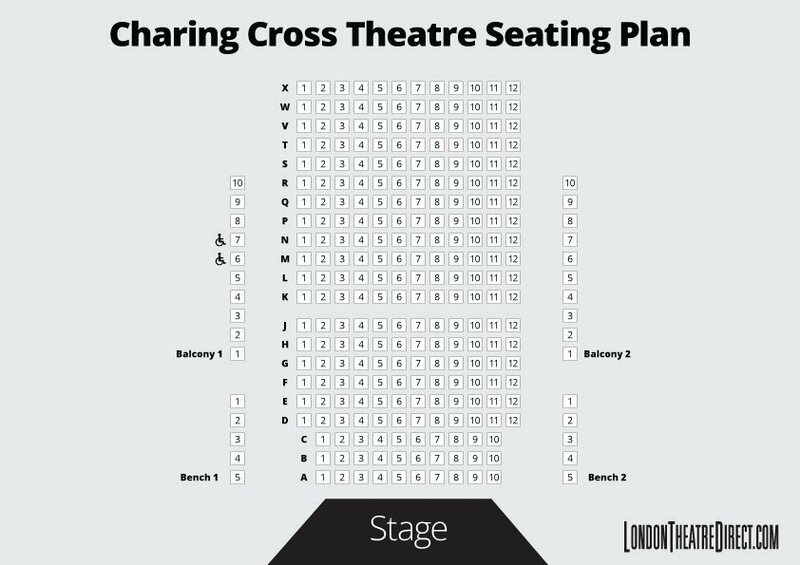 The Charing Cross Theatre has a capacity of 265 seats across the Stalls, 2 Balconies, and 2 Benches.